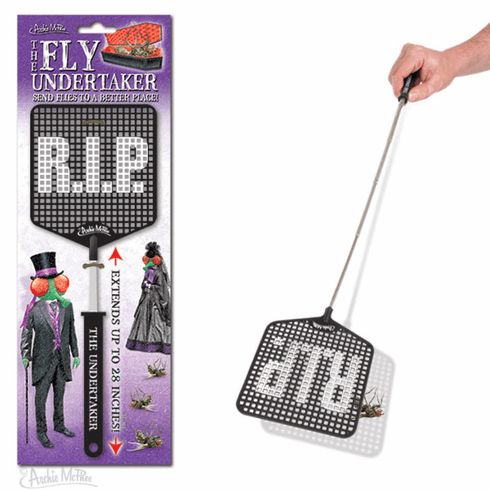 This fly swatter means business! If youêre serious about killing flies but donêt want to leave your chair, this extendable swatter that goes from 11-5/8" (29.5 cm) to 28" (71.1 cm) broadens your reach so you can stay put. Perfect for the lazy exterminator. Plus, the last thing flies see before they go is the RIP printed on the mesh. Metal and vinyl. Illustrated card.